Buoyed by explosive growth and continuing popularity of home meal replacements, or ready-to-eat meals, in South Korea, more retailers are releasing a variety of HMR products. According to data from Korea Agro-Fisheries and Food Trade Corp., the local HMR market expanded 35 percent from 1.7 trillion won ($1.5 billion) in 2013 to 2.3 trillion won in 2016, marking double digit growth each year. As of last year, the market had continued its momentum to 3 trillion won. One major food company in that business is CJ CheilJedang, which in October announced goals of increasing its sales of HMR products to 3.6 trillion won by 2020. CheilJedang said its sales over the past three years showed that families with teenaged children bought more HMR products such as microwavable soups and packaged side dishes compared to those living alone. The company said a family with middle and high school students who bought HMR products at least once within a year in 2017 rose to 43.6 percent, more than double from 16.3 percent in 2015. 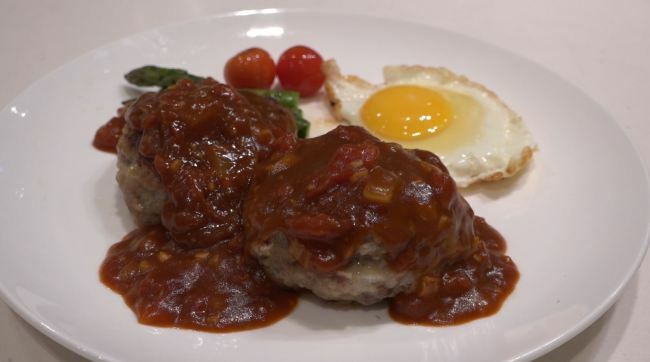 “While many still believe that homemakers prefer to cook on their own rather than buy food outside, the popularity of HMR products proves that mothers have high satisfaction for ready-made food,” said Kim You-jin, a mother of a 19-year-old son. According to e-commerce platform Auction, about 61 percent of those who purchased HMR products in 2017 were in their 40s and 50s. Another e-commerce firm, Gmarket said customers in their 40s and 50s bought 60 percent and 67 percent more HMR products in 2017 on-year, respectively, while those in their 20s bought 28 percent more. Such lifestyle changes are encouraging the food and beverage industries to come up with product variations that are convenient and ready to eat. 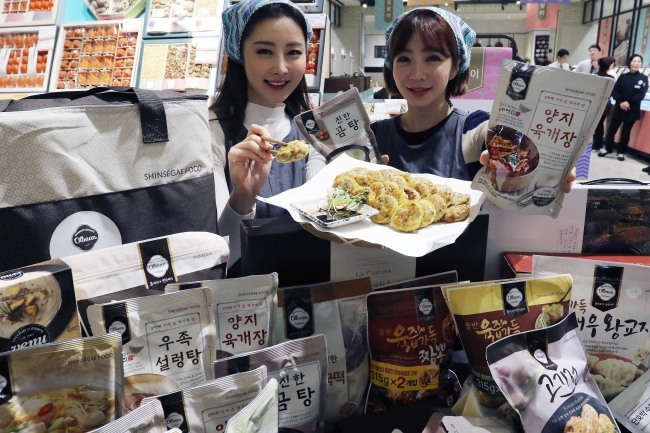 With Lunar New Year, or Seollal, coming in the third week of February, Shinsegae Department Store said it will release HMR product gift sets of ready-to-eat packaged traditional foods that otherwise require much preparation. Nine traditional dishes, such as gomtang (beef bone soup), jeon (savory pancakes), mandu (dumplings) and kimchi, will be included in a family gift set for 44,000 won, Shinsegae said. A set of special sauces such as bulgogi marinade will sell for 39,000 won. Lotte Home Shopping, the first mover in the race to sell HMR products on television, said it will air HMR product gift sets early next month. It will have cooked processed menus such as soups and boiled beef from Michelin-starred traditional Korean restaurant Gotgan. The company said since it first launched its HMR products-only program in July, the first attempt in the industry, it has sold over 30,000 products and recorded 1.8 billion won in sales. It will also expand its product portfolio by partnering with more HMR brands such as Bibigo and Baeminchan, the company said.